Bathrooms may be the smallest rooms in the house, but they make a big impression. Using everything from exotic materials to high-tech shower systems, we can make anything a reality in your bathroom remodel project. You need someone who will guide you through the process, make sure all of the work gets done to the highest possible standards and help you make the most of every dollar along the way. 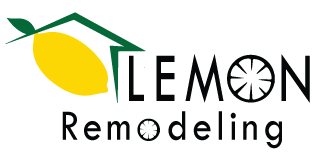 Let Lemon Remodeling help you achieve your perfect bathroom remodel! Call us to add style and value to your bathroom.